It seems to have been a long time coming, but finally, we’ve decorated the house ready for Christmas. I’ve felt a little guilty because the girls have been desperate to put up a tree but we have been in such chaos at home with the renovations that it just wasn’t possible until very recently. So this year I’ve let the girls go at it. To be fair, there aren’t that many cheesy decorations in our box anymore after a big cull last year, but we have two trees, and they wanted to decorate both of them. Initially, we had one ‘posh’ tree in the living room, and the girls have always had their own tree in the dining room/den. In the past this has always been a little tinsel tree but as they’ve got older they wanted a more grown up tree to decorate, but they still love their own type of decorations. 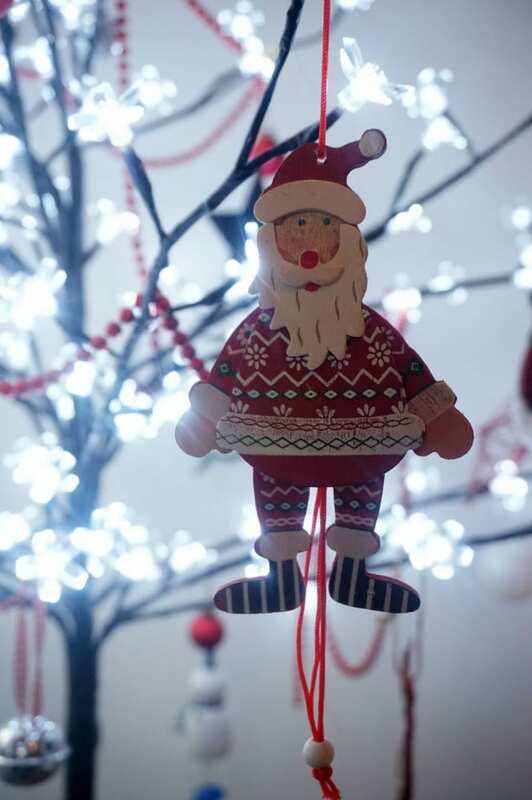 This lovely, cute Santa Decoration from Sasse and Belle makes a fabulous addition to their tree this year. A big part of being a child is counting down the sleeps isn’t it. Well, maybe it’s a big part for some adults too! 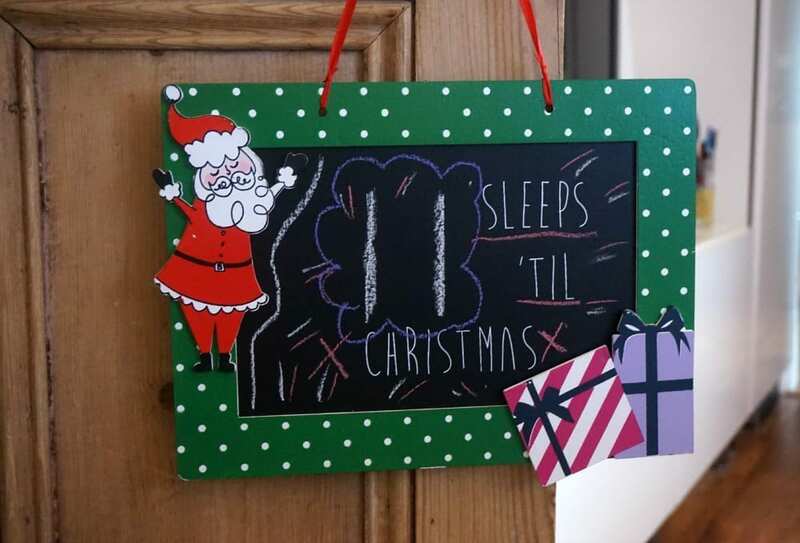 We are loving this colourful chalkboard and I can see this being a favourite each year. Let’s hope I can persuade them to leave it until December before we get it out of the box. This room has quite a bit of colour, so the Scandi red styling works well in here. Miss E wrapped the lights around my deer antler and then made this cute and cuddle display. I actually love how the Reindeer Wreath fills the space and works with their singing Christmas toys. 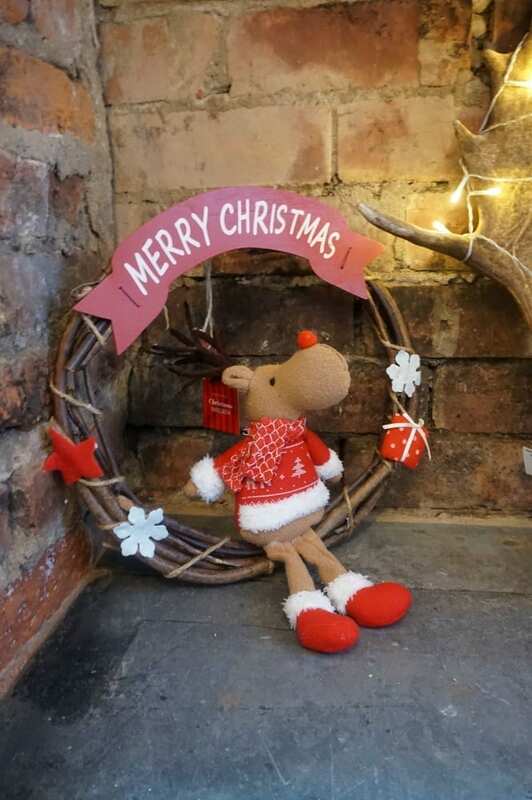 All of these pieces are from the Debenhams Christmas range, which you can see HERE, and I find them bright and colourful; ideal for children and families. Finally, I’ve managed to get myself some crackers. Yay. I’ve normally got this sorted by now, but hadn’t got round to it this year. The selection at Debenhams is really fun, and at the time of writing, half price! 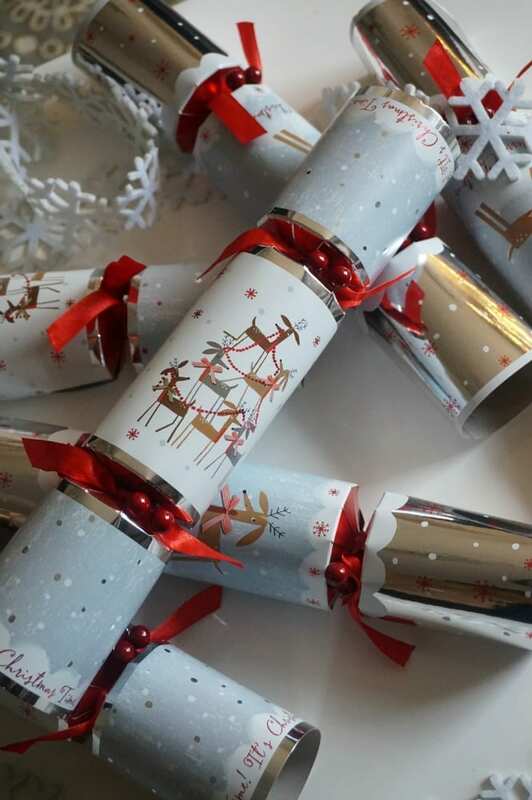 Who wouldn’t want a box of 12 luxury Reindeer crackers for £10. 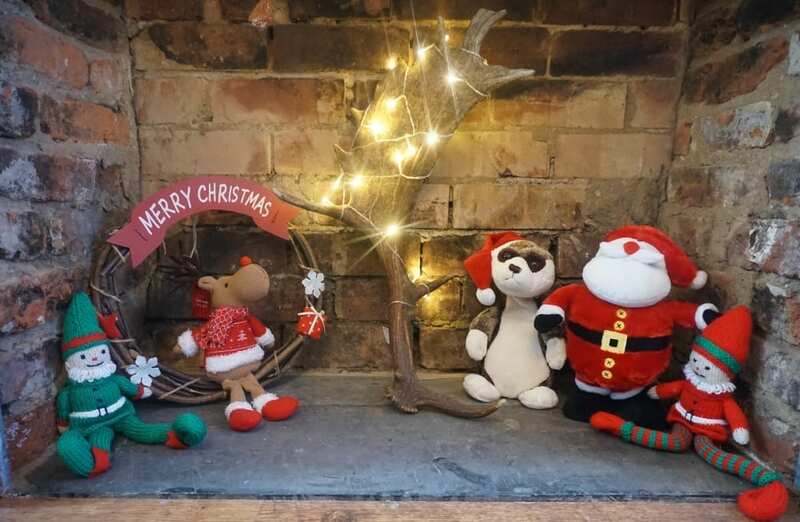 Have you done your Christmas decorations now? 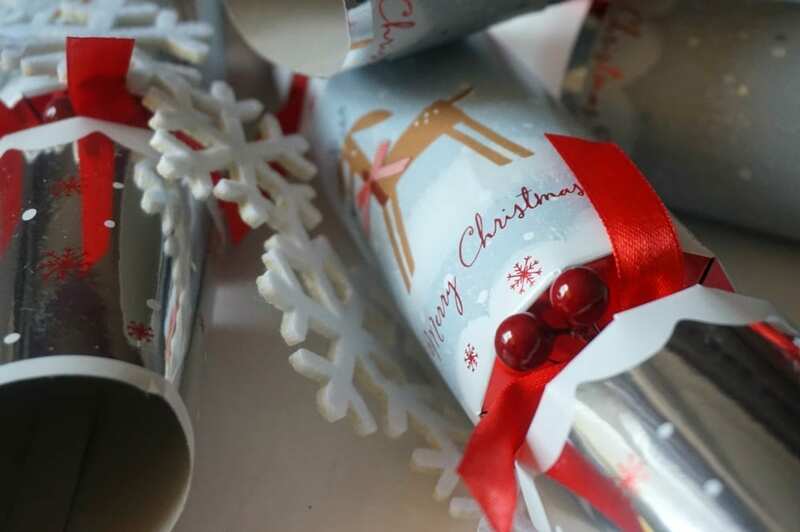 Still time to grab a few bargains if you haven’t, click on the links in the post above to take you to the featured products to find out more.